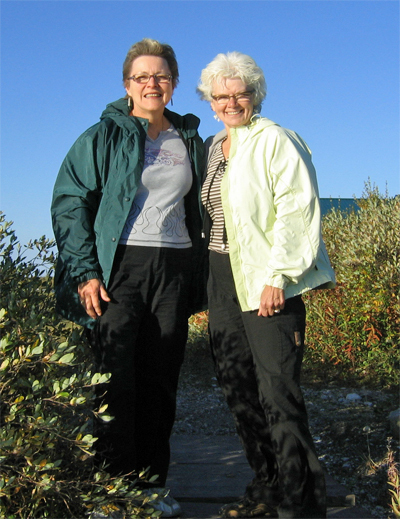 Blueberries & Polar Bears authors Marie Woolsey (left) and Helen Webber. Welcome to the 1st Annual Blueberries & Polar Bears Culinary Contest, sponsored by Churchill Wild! 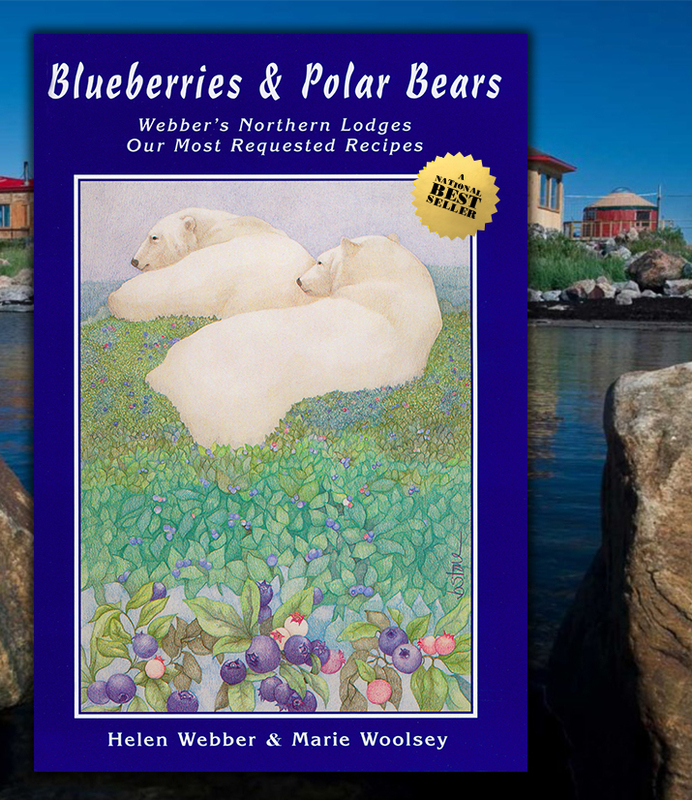 We’re proud to announce that we’ve now sold over 100,000 copies of the Blueberries & Polar Bears cookbooks, and the feedback has been tremendous! 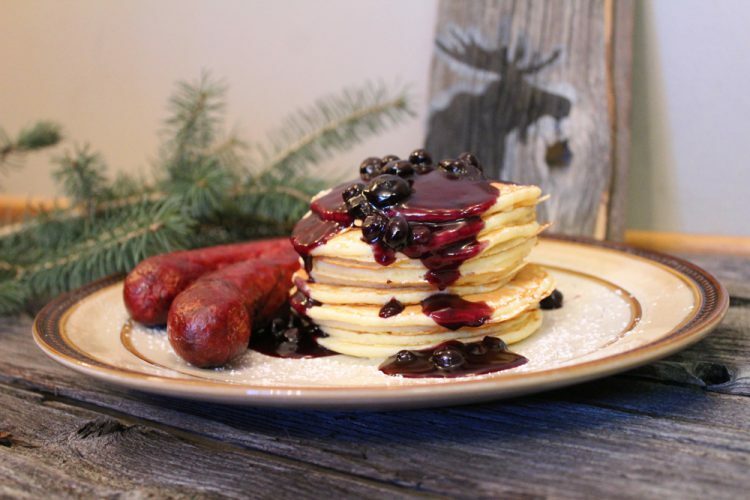 Developed at our wilderness and polar bear lodges over the past four decades by our original chefs and co-authors Helen Webber and Marie Woolsey, the culinary creations in these cookbooks have been heavily table-tested by guides, staff and most importantly guests, for quality, taste and simplicity. Only the best of the best have made it into the cookbooks. Simply put, these recipes work, and we serve many of the dishes in these cookbooks at our lodges every day, often to rave reviews. Perfect for everyone from newlywed couples to outdoorsmen (and women) to master chefs, these are the cookbooks you want to own. There are two sides to this contest, one for those who own the cookbooks already and the other for those who don’t. There are first, second and third prizes on each side, and all you have to do to enter is cook a single entrée, take a photo of your finished culinary delight, and tell us a story about it in 250 words. 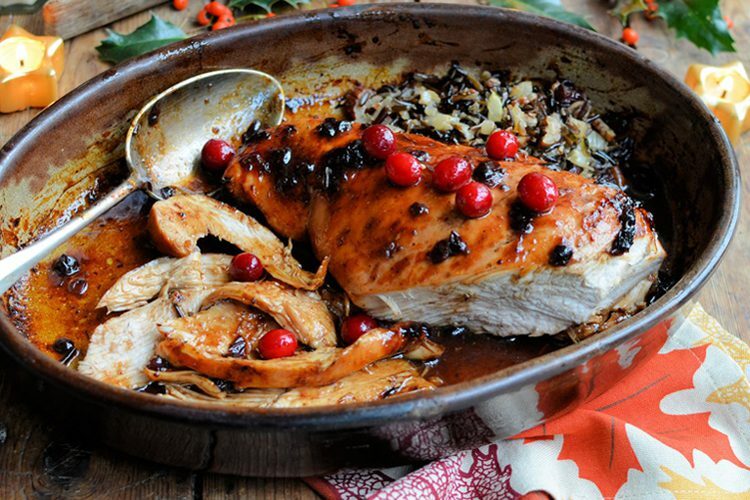 More details follow in the Official Rules below, but use your imagination, like Karen Burns-Booth of Lavender and Lovage did when putting her personal twist on an Icebergs & Belugas recipe to create Cranberry-glazed Roast Turkey Breast with Wild Rice Stuffing. Need more inspiration? Think Julie & Julia, the movie about blogger Julie Powell, who wrote about her experiences cooking all 524 recipes in Julia Child’s Mastering the Art of French Cooking. 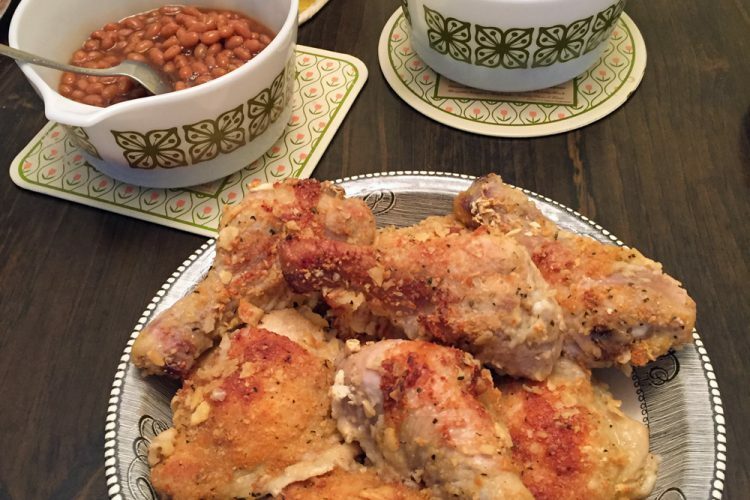 The only difference is that you only have to write about one recipe and take a photo of your finished entrée. You can do it! This contest runs from February 1, 2017, at 12:00 a.m. CST and closes February 28, 2017, at 11:59 p.m. CT (the “Contest Period”). Employees of Churchill Wild and/or Blueberries and Polar Bear Publishing and their immediate families with whom they reside are not eligible to win this contest. All others may enter. 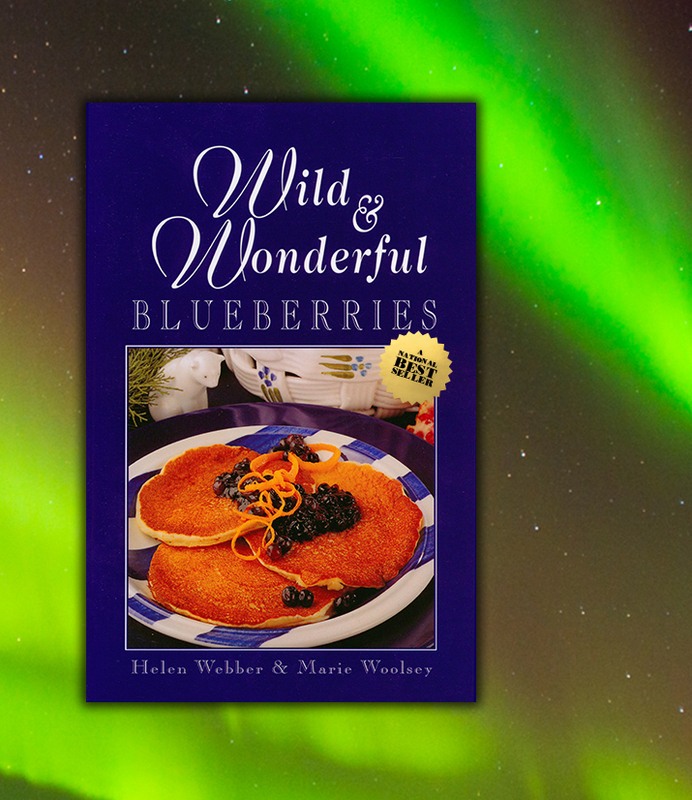 Category 1: For those who already own a cookbook from the Blueberries & Polar Bears series. 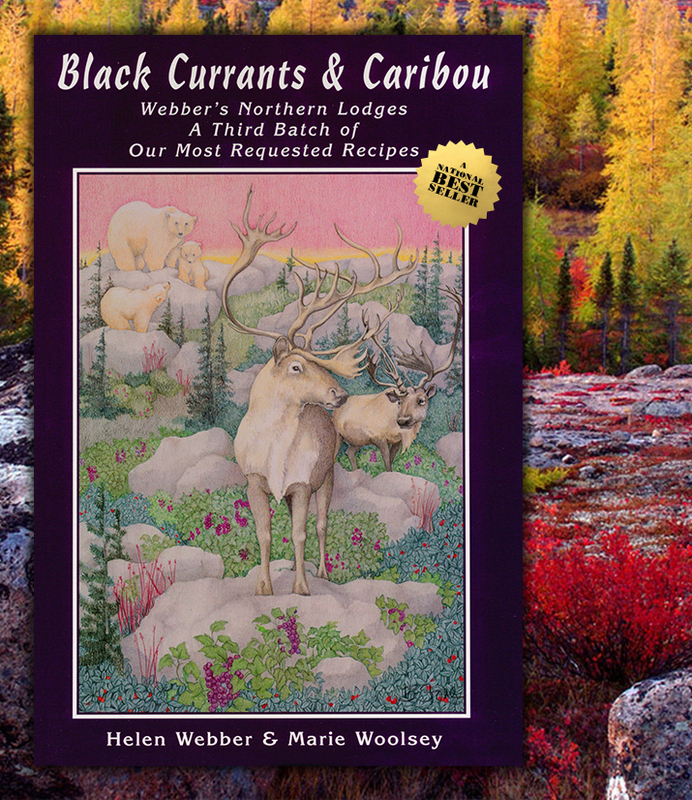 Choose your favourite entrée from any cookbook in the Blueberries & Polar Bears series. Category 2: For those who do not own a cookbook from the Blueberries & Polar Bears cookbook series. 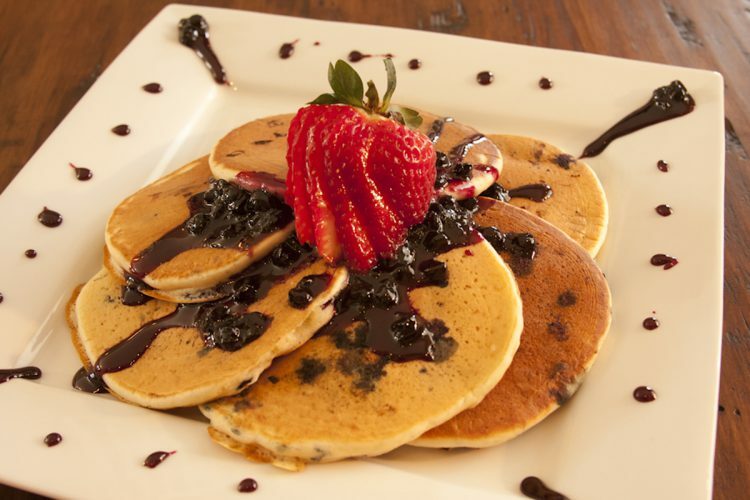 Choose one of the four entrées from the Blueberries & Polar Bears links below. 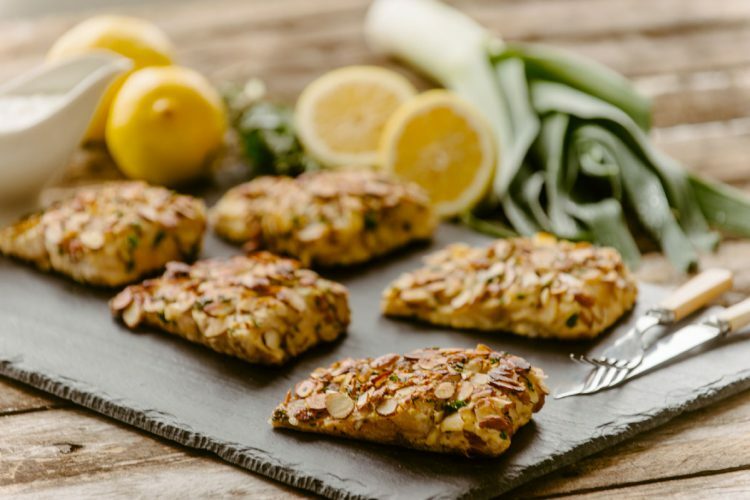 Note: Different types of fish and meat may be substituted in the above contest recipes. Prepare the recipe as is or modify it by substituting/adding ingredients etc. Write a short essay (maximum 250 words) about the recipe you prepared. Here are a few question ideas to get you started, but please feel free to put your own personal spin on your submission. Was it your first time cooking it? What did you do to modify it? Who did you cook it for? Why? How was it received? Did anything go wrong? Did you have fun? How long have you been cooking for? Where? For who? Keep a sense of humor and use your imagination! Name of the entrée you prepared. Photo of the entrée you prepared. You can include yourself and/or others in your photo along with your entrée if you like. Photo resolution must be a minimum of 72 dpi and 1000 pixels wide. 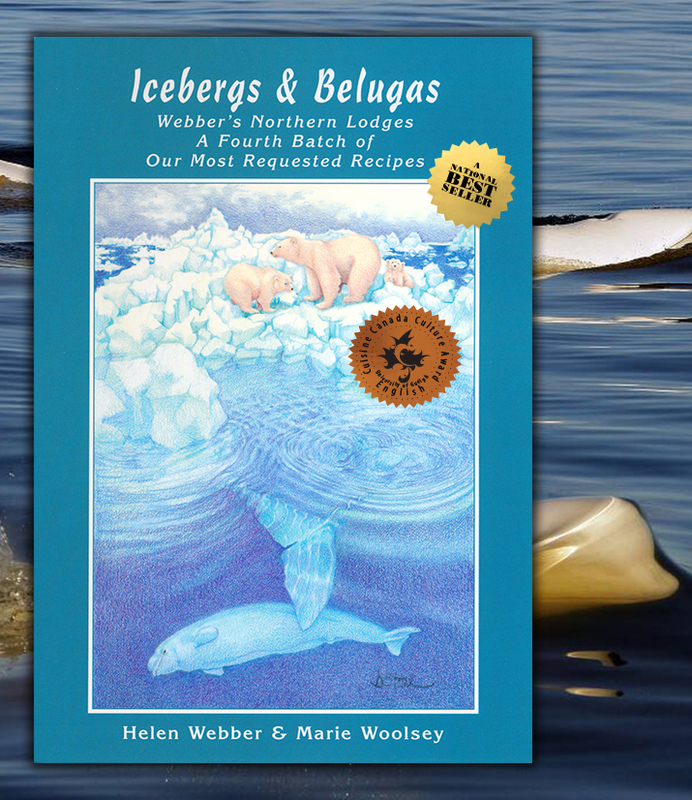 First Prize – Four large autographed cookbooks from our Blueberries & Polar Bears cookbook series including Blueberries & Polar Bears, Cranberries & Canada Geese, Black Currants & Caribou and Icebergs & Belugas. 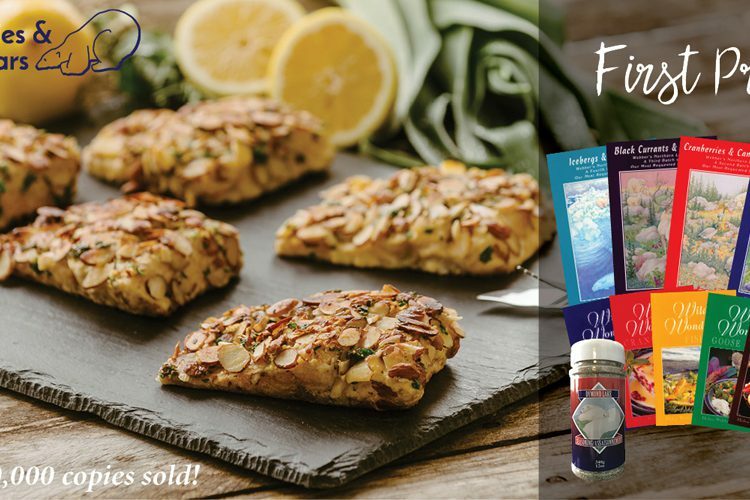 Five small cookbooks from our Wild & Wonderful cookbook series including Wild & Wonderful Blueberries, Wild & Wonderful Cranberries, Wild & Wonderful Goose & Game, Wild & Wonderful Fish and Wild & Wonderful Rice. One 12 oz. container of Dymond Lake Seasoning. 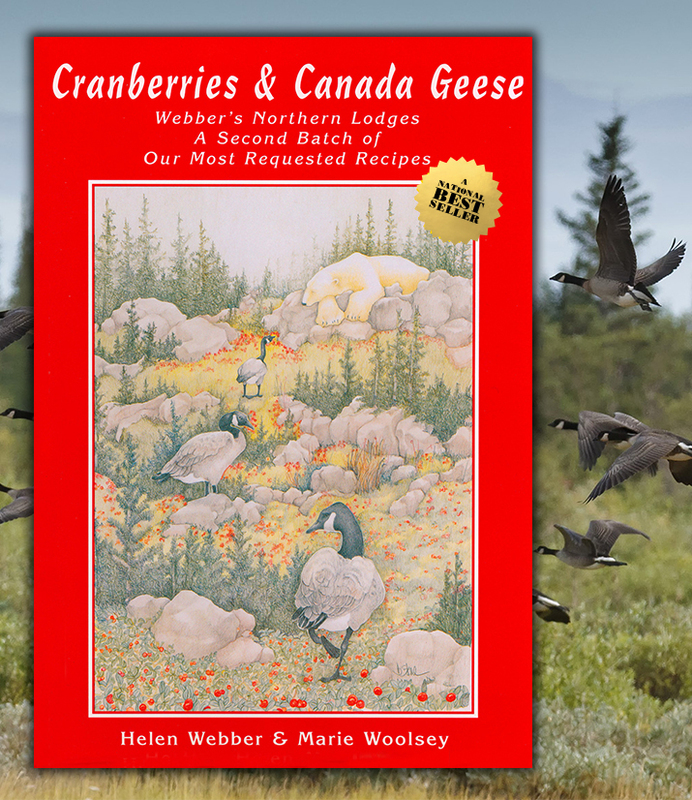 Second Prize – Two large autographed cookbooks from our Blueberries & Polar Bears cookbook series including Blueberries & Polar Bears and Cranberries & Canada Geese. One 12 oz. container of Dymond Lake Seasoning. 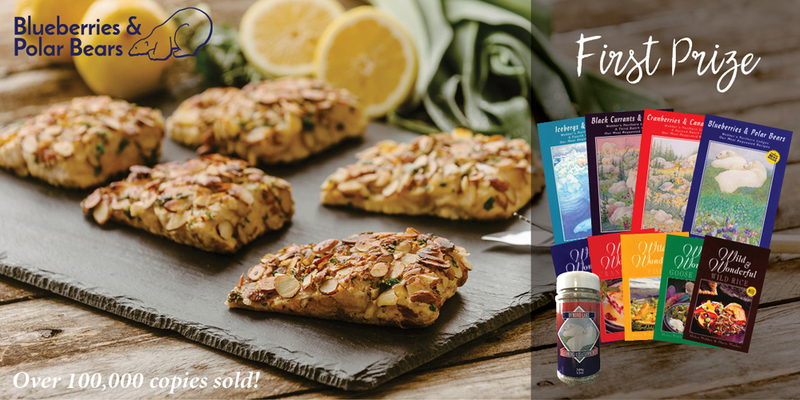 Third Prize – Five small cookbooks from the Wild & Wonderful cookbook series including Wild & Wonderful Blueberries, Wild & Wonderful Cranberries, Wild & Wonderful Goose & Game, Wild & Wonderful Fish and Wild & Wonderful Rice. One 6 oz. container of Dymond Lake Seasoning. Judging will take place between March 1 and March 15, 2017. One first, second and third place winner will be selected from each category. Winners will be notified at the email address from which their entry was submitted. Prizes will be mailed to the winners pending confirmation of winner’s mailing address. If a winner does not respond within 10 working days of notification, a new winner will be chosen. Winners will be announced on the Blueberries & Polar Bears Web site on March 31, 2017. The chances of winning a prize will depend on the total number of eligible entries received before the contest closing date in accordance with these rules. All photos and essays become property of Churchill Wild and/or Blueberries & Polar Bears Publishing and winners will be required to confirm this in writing before prize is awarded. By entering the contest, contestants agree to be bound by these contest rules and agree that all decisions made by Churchill Wild and/or Blueberries & Polar Bears Publishing with respect to all aspects of this contest are final and not subject to challenge. These rules may be amended at any time by Churchill Wild and/or Blueberries & Polar Bears Publishing without notice. Churchill Wild and/or Blueberries & Polar Bears Publishing expressly reserves the right to take any steps it deems necessary in its absolute discretion, including the limiting of entries and the exclusion of contestants, in order to ensure that the contest is conducted in a fair way for all contestants and for Churchill Wild and/or Blueberries & Polar Bear Publishing. Churchill Wild and/or Blueberries & Polar Bears Publishing and its employees, agents, representatives, promotional agencies and assignees shall not be responsible in any way for loss or damage arising from the use of, or bear any liability whatsoever in any way attributable to, the prizes awarded in this contest or the entry by any contestant herein. Without limiting the generality of the foregoing, Churchill Wild and/or Blueberries & Polar Bears Publishing assumes no responsibility or liability for any risk or dangers associated with the acceptance or use of the prizes awarded as part of this contest or any liability associated with or arising from online or electronic entries, and expressly disclaims liability from loss or damage to a contestant’s, or any other person’s, computer system or other hardware resulting from participating in the contest and for any problems or technical malfunctions of any telephone network or lines, computer online systems or servers, computer software problems or traffic congestion on the Internet or at any website. Churchill Wild and/or Blueberries & Polar Bear Publishing are not responsible for any lost, misdirected, illegible, incomplete or delayed entries. By entering the contest, contestants consent to the use and publication of their name, photograph, or statements in connection with the contest or any subsequent similar contest held by Churchill Wild and/or Blueberries & Polar Bear Publishing, without payment or compensation other than the chance to win the prize awarded. The personal information obtained from the contest entry form will not be used or disclosed by Churchill Wild and/or Blueberries & Polar Bear Publishing for any purpose other than general contest administration and the purpose set forth herein. This contest is subject to all applicable, federal, provincial and municipal laws and regulations and is void where prohibited. Churchill Wild and/or Blueberries & Polar Bear Publishing may, in its discretion, cancel, suspend, or modify this contest, without liability to anyone whatsoever. This is an online contest and if for any reason the contest is not capable of being completed as planned, including but not limited to computer lines, bugs, tampering, technical failures or other causes beyond its control, Churchill Wild and/or Blueberries & Polar Bear Publishing reserves the right to cancel, suspend or modify the contest. Churchill Wild and/or Blueberries & Polar Bear Publishing is not responsible for any errors whatsoever in the contest rules or promotion of the Contest, including without limitation any printing, distribution, or production errors and may, in its discretion, withdraw this contest if it is found to contain any such error, without liability to anyone whatsoever. 1 Reply to "Blueberries & Polar Bears 1st Annual Culinary Contest!" I’m sorry I missed this contest! !